Ernesto Kohler (1849-1907) was an Italian flautist and composer, widely regarded as one of the best flautists of his era. Initially taught by his father, who was also a professional flautist, he held orchestral positions in Vienna and St. Petersburg. He wrote over 100 works for his own instrument, as well as an opera and several ballets. Best known for his 'Flöten-Schule' (c.1880), a popular tutor book for the flute at the time, his other compositions for the flute include études, solos and duets. This delightful piece was originally scored for two flutes and piano. 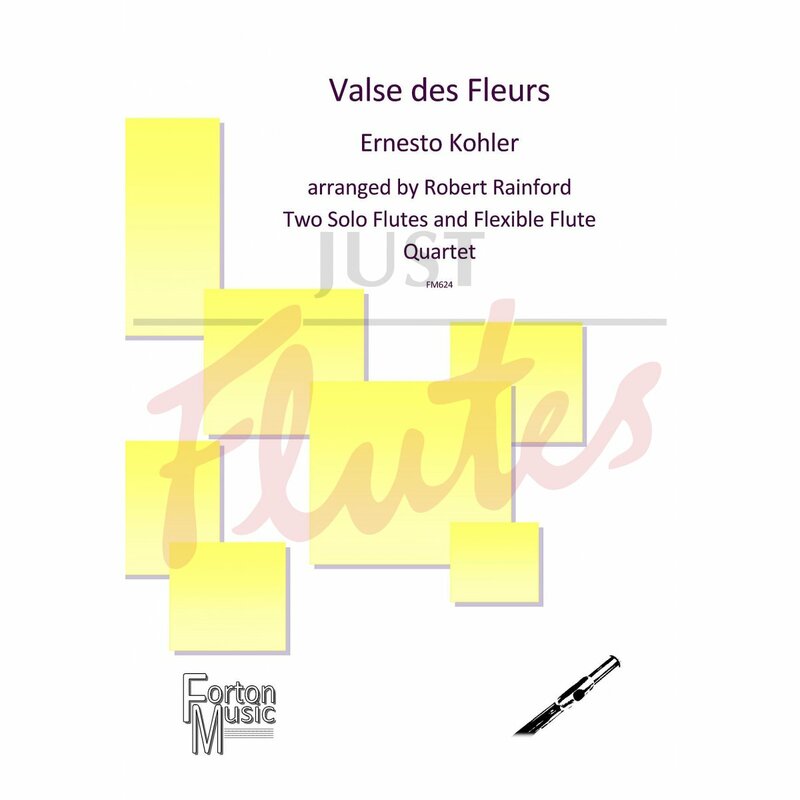 In this version, the two solo flute parts are unchanged, and the piano part has been rescored for a flexible flute quartet of two flutes, alto flute or flute three, bass flute or alto flute or flute 4. A brilliant fanfare calls out at the start of the piece, leading into a series of waltzes in various keys, reminiscent of the Viennese ballroom. Both solo parts contribute equally to the melodies, while the flute ensemble supports with chordal passages and occasional countermelodies.